Our I/GCSE results continue to improve and are the best the school has achieved. 92.6% of Y11 students achieved our minimum entry requirement to the Sixth Form with 5 x IGCSEs of A*-C. Two of our students achieved 10 x A*/A grades, with 7 students receiving 10 IGCSEs. Additionally five students achieved 9 x A*/A, another six achieved 7 x A*/A grades or more. Our students received, on average, +0.54 of a grade in ‘value-added’, with 89.9% of all grades as passes (A*-C). This is a wonderful achievement for students and teachers. 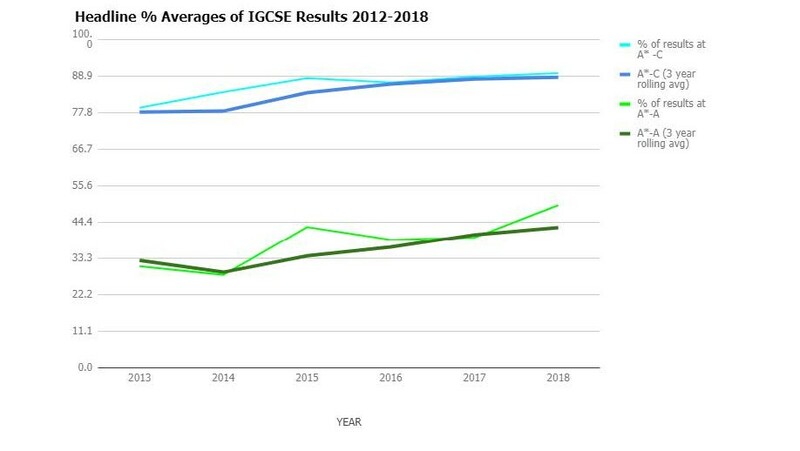 Here are the school’s I/GSCE results in a historical context. At GCE A Level, Bangkok Prep entered 47 students where 97.3% of grades awarded were passes at A* – E, with 54.1% at A* – B, a great set of results but not quite equalling last year’s outstanding performances. Notably, three students achieved four A*/A passes, whilst another six students were awarded the top grades of A*/A in three subjects. 32% of our Y13 students (15) achieved three or more A*/A or B grades. Our students received, on average, +0.04 of a grade in ‘value-added’. 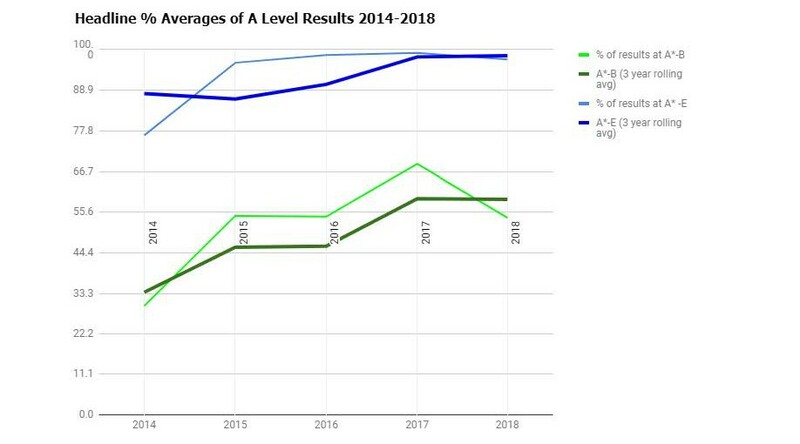 Here are the school’s A Level results in a historical context.